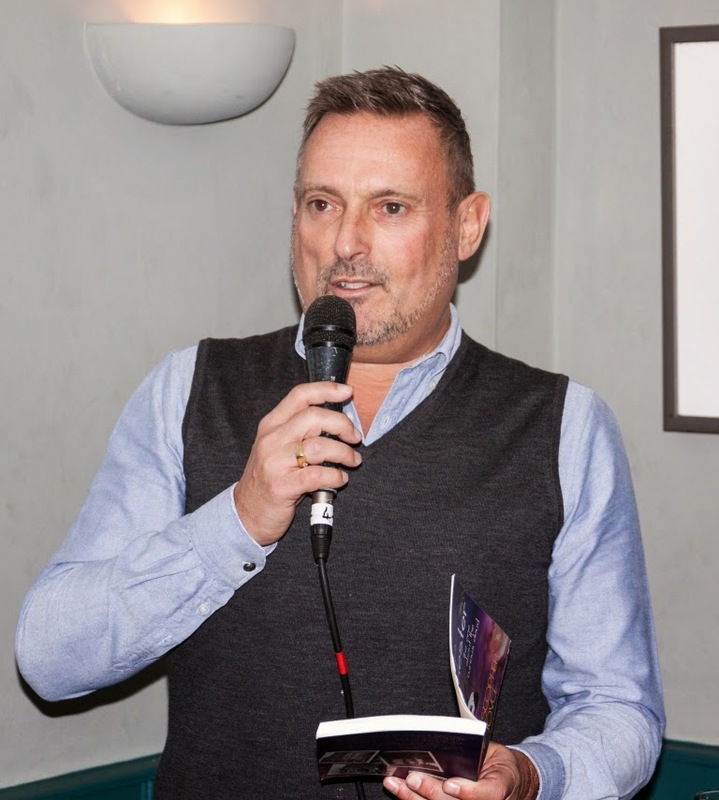 For the sixth in our ongoing series of Author Collective interviews, I am pleased to welcome Chris Casburn (writing as Christopher Joyce), member of CHINDI, a Chichester network of independent authors. LP: Who had the idea to set up CHINDI, and when? CC: Myself and fellow local author Jeremy Good discussed the idea of setting up a group of local indie authors in January 2014. Our local paper, The Chichester Observer, is very supportive and had already featured 2 or 3 other authors living in and around the city. Jeremy had also made contact with a few others from social media sites such as LinkedIn and Facebook. We contacted these people and six turned up on a wet and windy evening. We met a further two or three times, decided on a name for the group and before we knew it we were at our first event to coincide with World Book Day in March 2014. LP: Can you tell us a bit about how the network functions? CC:The main aim of the group is to share the pain and costs of marketing. We each have different strengths. 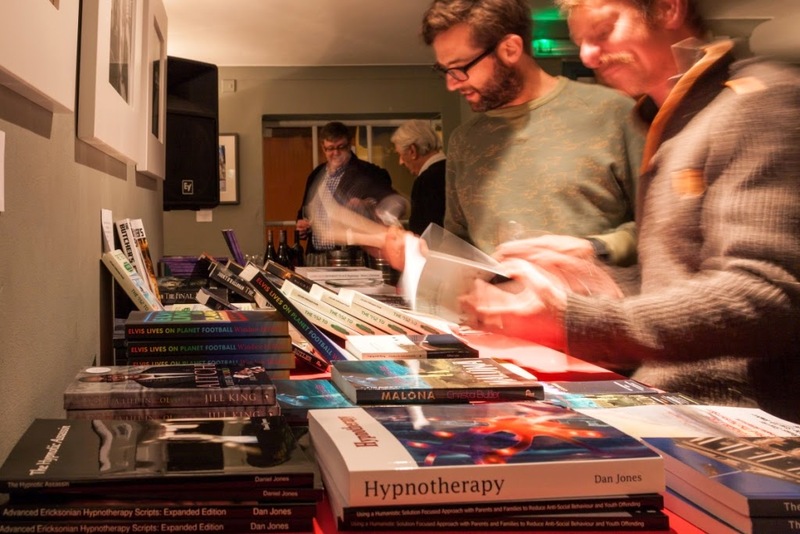 Some are great at social media, others have useful contacts with venues and local media, we all share a common desire to get our books out to our readers. In addition, we have approached the process in different ways. Some favour Matador whilst others are loyal to Createspace, Lulu or Ingram Spark. This means that there is usually someone in the group that can advise of the mistakes to avoid based on their own experience. We meet monthly to plan activity which has included: a library talk of self publishing, a wine and words evening with 4 authors reading, exhibiting at the Winchester Writers Conference, our first stall at this year's Christmas Market in Chichester, running a free promotional link on our local radio station, Spirit FM. LP: How many members do you currently have and what must each member bring to the table? How do you know if someone is a good “fit” for CHINDI? CC: There are now 18 members in the group and more are expected at the next meeting. We accept all genres but expect the production values of the book to be high. As we expand, we are planning to tighten up on this to ensure that the reputation of the group remains high. Each member must contribute to the group in some way. This might include: setting up a website, recording videos and setting up a YouTube channel, being the 'manager' of an event, designing and distributing leaflets, manning a stall, writing press releases etc. It's worked pretty well so far but as membership grows we may need to allocate roles in order to prevent duplication of effort. LP: Are all your members independently-published uniquely? CC: Some of our members are hybrid authors but most are solely self published. LP: Like Triskele Books, do all the CHINDI authors each retain the rights to their own books, pay the costs of publication and receive the full royalties? What elements are done collectively? CC: All authors retain the rights to their books and full royalties. Our group is more of a marketing forum than a collective. We are currently focused on our first Christmas Stall. 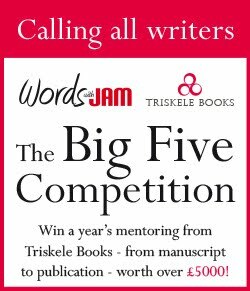 The costs for 4 days is over £400 so clearly prohibitive for any single author, but by sharing the costs we're hoping to get sales and increase awareness. 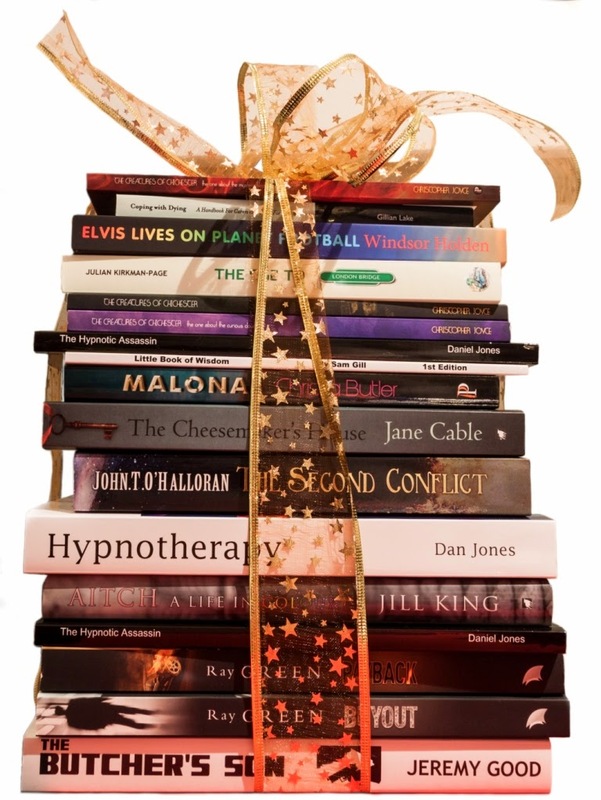 Several authors have contributed books to create a prize of over £100 and 'books for all the family' to attract visitors to the stand. CC: The experience has been very rewarding knowing that there are other writers facing the same issues. It's really hard to keep the momentum on your own but by sharing the marketing burden (and costs) it becomes easier. Chairing a meeting with 18 creative egos is not always easy and there is not always total agreement on specific activity. But so far only 2 people have left the group over the last 11 months. It's not for everyone, as it's not like ALLi where you pay quite a large membership fee and expect all sorts of benefits delivered to you. We currently have no fee and you pay with your time and input. This inevitably means that some 'pay in' more than others, but I think that's inevitable. CC: I see the next few years as one of further change, which is quite exciting. Amazon is likely to dominate although I'm not sure how successful the Kindle Unlimited programme has been. More self published authors will hit the headlines and the ghost of vanity publishing will hopefully disappear. New initiatives such as audio books through ACX are exciting and several of us in the group are at the early stages of getting our books recorded. I'd like to see Indie Bookstores be more supportive of Indie Authors. We only have one in Chichester that we have failed to win over so far - but we haven't given up yet. Thanks so much for answering our questions, Chris, and we wish you all the best with your writing, and with CHINDI. 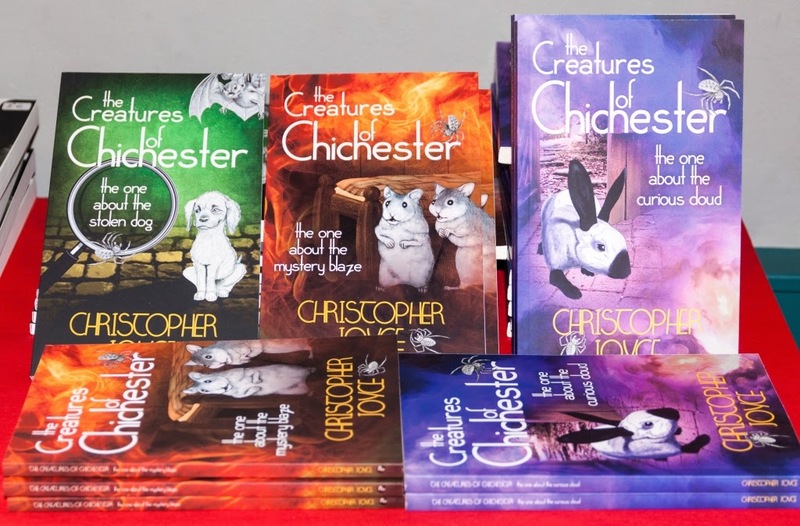 Christopher started work on the first book in the Creatures of Chichester - the one about the stolen dog was released just before Christmas 2012. 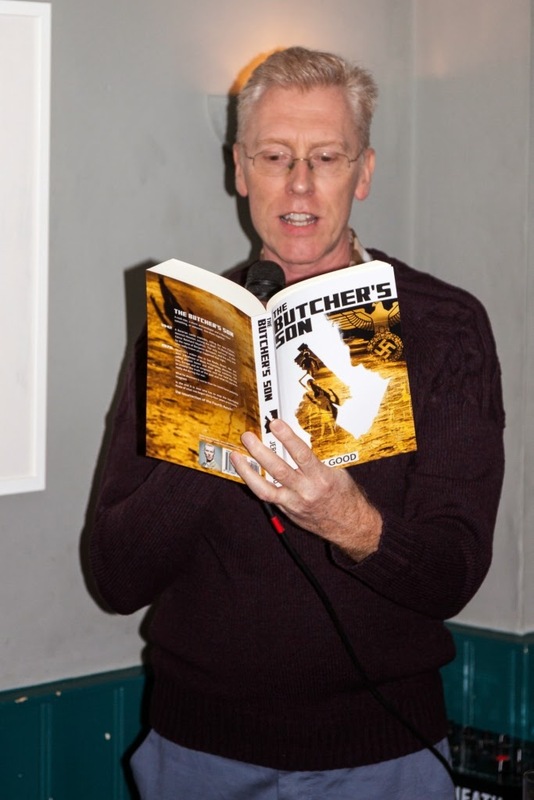 His second book, The Creatures of Chichester - the one about the mystery blaze was released in October 2013. Christopher lives in the centre of Chichester and also runs a garden design business. He's been a teacher, marketing director and even made Venetian Blinds as a young Twoleg in Newport, South Wales. 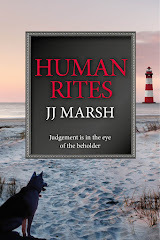 He dreams quite a lot and plans to write at least six more books in the Creatures of Chichester series. Book three The Creatures of Chichester - the one about the curious cloud is out now. Liza Perrat reviews Guises of Desire and interviews the author, Hilda Reilly. Guises of Desire is a fictionalised account of the three-year illness of Bertha Pappenheim, known as the founding patient of psychoanalysis, mental illness treatment pioneered by the famous Dr. Sigmund Freud. “Anna O”, Bertha Pappenheim’s clinical pseudonym, was a patient of Dr. Josef Breuer, an associate of Freud’s, and one of the cases on which much of Freud's theory was based. Freud described his patient as cured of "hysteria" with his “talking-cure” method. Through the author’s extensive research, Bertha’s Jewish upper-middle class of 19th century Vienna is excellently portrayed. A sensitive, well-educated child who spoke several languages, Bertha was deeply disturbed by the gender discrimination she saw in her milieu of society. When her father falls ill, Bertha begins to exhibit more and more alarming symptoms such as paralysis, aphasia, blackouts and hallucinations. Through his regular visits to her home, Dr. Josef Breuer uses new methods such as hypnotism and the “talking cure” to try and root out the cause of Bertha’s psychological problems. As Bertha comes and goes from sanatoriums over the following two years, the author narrates the progress of her illness in a fascinating and horrifying, but truly sympathetic manner that urges the reader onward, to discover what happened to this poor girl, in the end. I found Guises of Desire an excellent and informative novel and would highly recommend it for readers interested in understanding the history of psychoanalysis. LP: Can you tell us what made you want to explore the medical concept of “hysteria” in the novel form? HR: I first got interested in the subject of hysteria and hypnosis and various altered mental states when I was doing a Masters in Consciousness Studies, about 8 years ago. This led on to an interest in the early patients of psychoanalysis and it struck me that some of them may well have had an underlying neurological disorder, unrecognised by their doctors due to the limited state of medical knowledge at the time. I was curious to take a look at what patients’ lived experience of their illness and treatment might have been, and it seemed to me that a biographical novel would be a means of exploring this. In the case of patients from the past it’s usually only the doctor’s version of events that we receive whereas nowadays there’s more attention being given to the patient’s narrative. Of course, we can only speculate as to what patients who are no longer with us felt and thought. I see the biographical novel as a means of narrativising a hypothesis about what these thoughts and feelings may have been. And after all, this is much what historians do when they interpret facts – they develop their own hypothesis on the basis of their research findings. LP: When did you first become interested in the life of Bertha Pappenheim, aka Anna O, the ‘founding patient’ of psychoanalysis? HR: Fraulein Anna O is the first of the cases to appear in Studies on Hysteria, published by Freud and Breuer in 1895. People tend to think of Anna O as Freud’s patient, whereas she was actually the patient of an older friend of his, Dr Josef Breuer. It’s true to say, though, that Freud in a sense appropriated the case as he wrote so extensively about it – hence the subtitle of the novel: The Story of Freud’s Anna O. It was in the course of his discussions with Breuer about this case that Freud began to develop his own theories about the diagnosis of those ‘hysterical’ patients and to devise new methods of treating them. I put the word ‘hysterical’ in quote marks as I think there is a big question mark hovering over the term. I suspected fairly early on that Bertha Pappenheim suffered from some kind of neurological disorder, a belief that grew firmer the more I discovered about the case. LP: Do you have your own ideas about Anna O’s diagnosis of hysteria? And what do you think of the diagnoses of Drs Freud and Breuer, in terms of what we know today? HR: I think that the predominant cause of Bertha’s illness was temporal lobe epilepsy, a form of epilepsy which can result in a wide range of seemingly odd experiences and behaviours. In the case of Bertha, there were hallucinations, paralysis, visual disorders, aphasia, prosopagnosia, to name just some – the kind of thing described by Oliver Sacks, in fact. She was also taking significant amounts of morphine and other drugs which would have aggravated her condition. 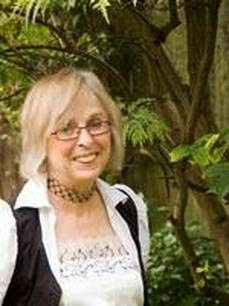 As well as that she undoubtedly had psychological problems generated by the socio-cultural milieu in which she grew up: for example, resentment about her second-rate status as a Jewish woman in the 19th century, frustration about not being able to develop her intellectual potential, and so on. I think there has been a tendency among commentators, even today, to jump to the conclusion that because she had those psychological problems, there is no need to look any further for a trigger for her illness. I believe, rather, that all those causes co-existed. LP: What has the general feedback been about your story? HR: Very positive on the whole, and I’ve been particularly pleased about the reviews I’ve received from therapists and medical professionals. I had feared that the responses from that quarter might be rather snooty, but not at all. 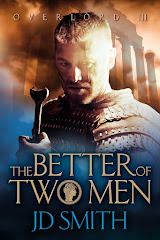 On the other hand, I’ve had some negative responses from people who are more concerned with the historical aspect and who believe that biographical novels are nothing more than a travesty of the biography. LP: Would you like to tell us a bit about your other novels, and if you are currently working on anything new? HR: Guises of Desire is my first novel. Before that I wrote a couple of travel books. Prickly Pears of Palestine is an account of six months I spent in the Occupied Palestinian Territories ten years ago. It gives multiple personal perspectives on a momentous period in Palestinian history, covering the death of Yassir Arafat and the election of Mahmoud Abbas. Seeking Sanctuary, which is part reportage and part travel writing, is set in Sudan. It presents the stories of six Western converts to Islam who sought a better life for themselves by moving to a country more in line with their new religion. Their journeys – spiritual, cultural and geographical – told in their own words, are set within the wider context of my own experience as an expatriate in Khartoum. I’m now in the early stages of researching a second biographical novel, about another patient from the history of psychoanalysis, a patient of Freud’s this time. I don’t really want to say any more about it at the moment, but watch this space! 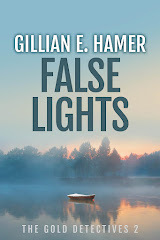 In recent years she has returned to academic study, obtaining an MSc in Consciousness Studies, for which she specialised in the neuroscience of religious experience, and an MA in Creative Writing, focusing on the use of narrative to explore the medical concept of hysteria. Her first novel, Guises of Desire, which draws on both of those areas of interest, deals with the life of Bertha Pappenheim, aka Anna O, the ‘founding patient’ of psychoanalysis. She is also the author of two travel books – Prickly Pears of Palestine: The People Behind the Politics and Seeking Sanctuary: Journeys to Sudan. Guises of Desire can be purchased here. Do you sell ebooks direct to consumers or non VAT registered entities? Are any of these consumers outside the UK but within Europe? If you answer Yes to the above, you need to be aware of changes in EU VAT legislation coming into effect on 1 January 2015. Legislation comes into force which changes the “place of supply” of these services. Currently this is listed where the selling business is situated (so if you are a business in the UK the place of supply for all your sales is the UK), however from 1 January 2015 for digital services to consumers this changes to where the consumer is based. This means that the VAT applied to these services will be determined by which country the customer is based in. A non VAT registered individual in Spain downloads an eBook from your website. From 1 January 2015 you will need to charge this customer VAT at the rate applicable in Spain, report this on a Spanish VAT return and pay the VAT across to the Spanish authorities. What types of service are included? But I’m only a small business and below the UK VAT threshold, will this affect me? Unfortunately yes it will, there is no minimum threshold for these EU VAT requirements, every sale no matter how small needs to be charged the correct amount of VAT and reported in the correct country. Your first sale to a European country after 1 January 2015 will trigger the start of your reporting requirements for EU VAT. This legislation covers the whole of Europe and some countries do not have a VAT registration threshold so limits have been set to nil to comply across the board. For all EU customers, you will need to identify if they are VAT registered in their country by obtaining their VAT registration number. Any EU VAT registered customers are outside the scope of these requirements and will not need EU VAT adding or reporting. UK VAT registered customers would continue to report these on their EC sales lists. If you cannot obtain a EU VAT number then the sale will need VAT adding at the rate applicable in the customer’s country and the sale will need reporting and VAT paying to the local authorities in that country. Do I need to supply these customers with VAT receipts and if so what information do I need to include? Reporting requirements differ between countries but it is expected that a “simplified” VAT invoice, showing the VAT charged and your VAT registration number will be required. This is not currently confirmed. I offer training over webinar/Skype, is this included? No, if the service is live with a presenter it is treated as a supply of training/education and so excluded from these rules. However if the training is recorded or automated with no live presenter then it would be classed as a digital service under these EU VAT rules. I sell apps via an app store, will I be affected? VAT is due by reference to who your customer is, so in this case you will need to review the terms of the contract with each platform you use to check if you are selling to the app store or the end consumer. If it is the case that you sell your app to the app store, who in turn sells the app onto the consumer, your part of the sale would be business to business, you would need to collect their VAT registration number and the transaction would be outside of these requirements. In this situation it would be the app store who would be required to report the EU VAT on sales to consumers. However some platforms act as agents taking a commission from the app sales, in this situation you would need to account for the VAT to the EU customers. 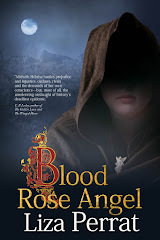 I sell eBooks via Amazon will I be affected? The present situation is that Amazon deals with the end customers and deals with the VAT reporting. If you use other platforms you will need to refer to your agreements and the guidance from the platform provider. How and where do I report? The MOSS service will allow you to enter the sales per country, calculate the applicable VAT due, send the reports to the required authorities and collect the payment from you for distribution. Agent will be able to file EU VAT returns on your behalf using the MOSS system, however the registration for MOSS needs to be done by you. You need to register separately for MOSS: it is not included in your UK VAT registration. The return are due for the quarters ended March, June, September and December. Returns and payments are due 20 days after the end of a quarter. To use MOSS you need to be registered for VAT in the UK and so will need to charge VAT on all UK sales. If you are not registered at present you will need to assess whether this will be beneficial for your business, an accountant will be able to talk you through the pros and cons. Update on this! HMRC have indicated that businesses may be able to “split” their sales separating out the EU digital services for the purposes of this VAT registration. The details are still being outlined but it would mean that the registration would apply to only the EU set of sales and UK sales would be remain outside of UK VAT. This would allow small businesses to use MOSS and only require them to register the business for UK VAT when the UK VAT threshold is met. When firm guidance is available we will update this matter. How long will I need to maintain all the information? You will need to keep the records for 10 years to comply with EU regulation. This is taken as 10 years from 31 December of the year during which the transaction took place. This all sounds very complicated and costly for the amount of EU sales I have, can I avoid it? The only way to remove yourself from these requirements is to stop all digital service sales to EU customers. You will need to assess whether the amount of sales (or potential sales) is worth the additional reporting requirements. How do you do this? Well I’m not a tech expert by any means but Paypal and developers for Plugins for sites such as WordPress are coming up with solutions. It may be the case that EU digital baskets can be rejected at checkouts (and potentially offered a postal service). But it is a case of keeping your eyes out for a wave of solutions on the market. So I’m definitely going to be inside these requirements, where do I start? 5. If you are using an agent(s) to file EU or MOSS VAT returns on your behalf you have the appropriate engagements in place in advance of filing deadlines. Professional bodies across the UK have been appealing for the simplification of these requirements for small businesses for some time, however it looks increasingly unlikely that this is going to happen before 1 January 2015. It adds an increasing amount of administration on small businesses, going against the tax simplification policy the UK authorities have been striving to achieve. We will of course continue to monitor the situation and if the requirements do change we will be reporting back.